Preheat a gas or charcoal grill on medium-high heat (350°F) for 15 minutes. Soak skewers in water for 20 minutes. In a small bowl, stir peanut butter, water, 1 1/2 tablespoons Sizzlin’ Sweet Chili Thai Seasoning and lime juice. Cover with plastic wrap until ready to serve. 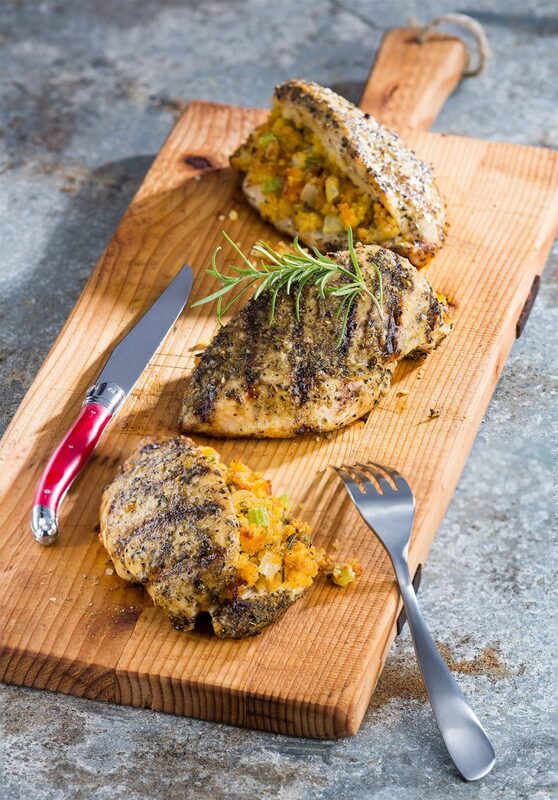 Cut chicken breasts diagonally into ½-inch-thick strips. Thread each chicken strip onto a skewer, weaving it in and out of the skewer. 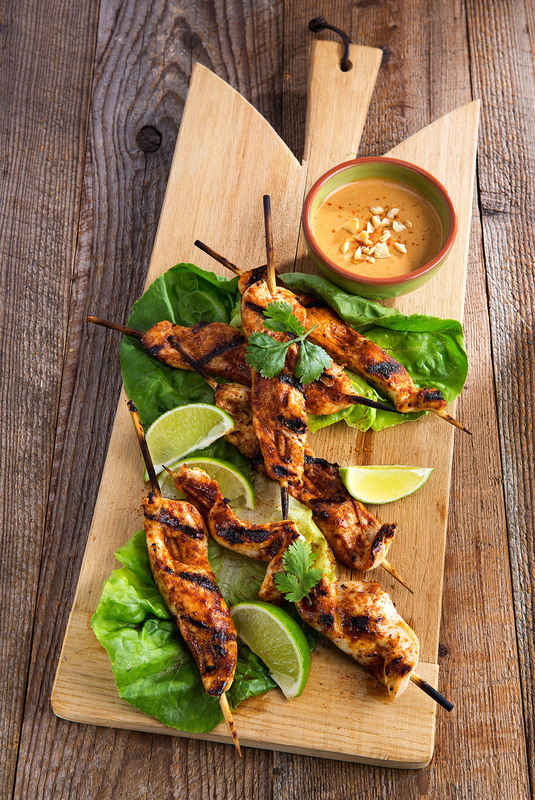 Sprinkle chicken skewers with remaining 2 1/2 tablespoons Sizzlin’ Sweet Chili Thai Seasoning. Oil a clean kitchen towel and use tongs to coat the hot grill grate with oil. Use tongs to place the chicken skewers on the hot grill grate. Cook the chicken skewers, uncovered, for 10 minutes or until an instant-read thermometer inserted into the chicken reaches 165°F, turning once halfway through cooking. Serve chicken skewers with peanut dipping sauce. 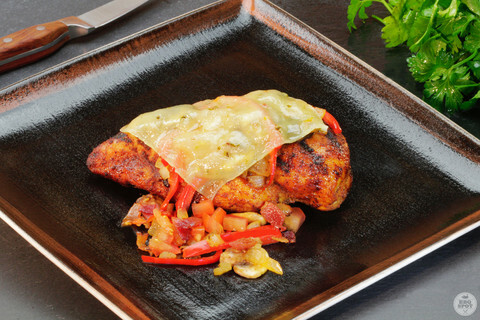 Use 1 tbsp Sizzlin’ Sweet Chili Thai Seasoning per 8 ounces of chicken. If time allows, let the peanut dipping sauce sit 30 minutes or longer to allow the flavors to meld. 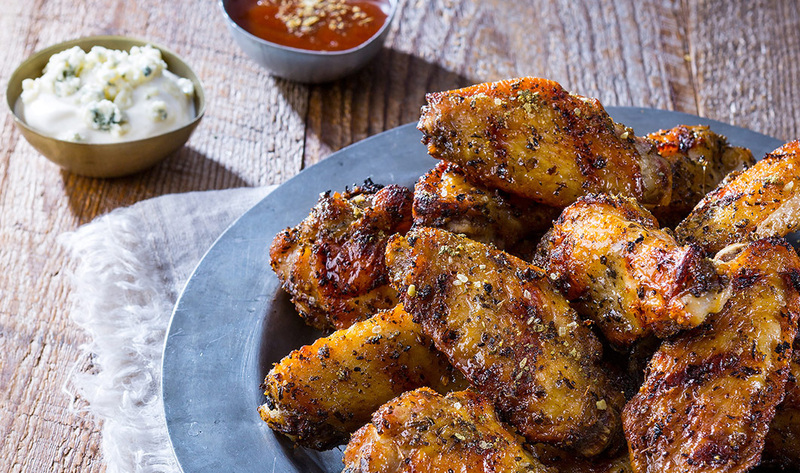 Try adding 1/4 cup sesame oil and 2 tablespoons sriracha chili sauce or chili garlic sauce to the dipping sauce for extra flavor and a little spice. Sprinkle the dipping sauce with chopped peanuts for crunch. Serve over butter lettuce leaves to add a little color to the dish. Garnish with lime wedges for squeezing over the chicken skewers. To cook on the stovetop, heat a grill pan over medium-high heat until hot. Spray the seasoned chicken skewers with nonstick cooking spray. Place the chicken skewers on the hot grill pan. Cook the chicken skewers 6 minutes or until an instant-read thermometer inserted into the chicken reaches 165°F, turning once halfway through cooking.